On March 13, I wandered over to Shades of Bold and saw Marilyn's totally awesome collection of bucket bags. It's not often that I see something and immediately want to make it, but this time — within a week — I had made my own version of a bucket bag out of waxcloth. 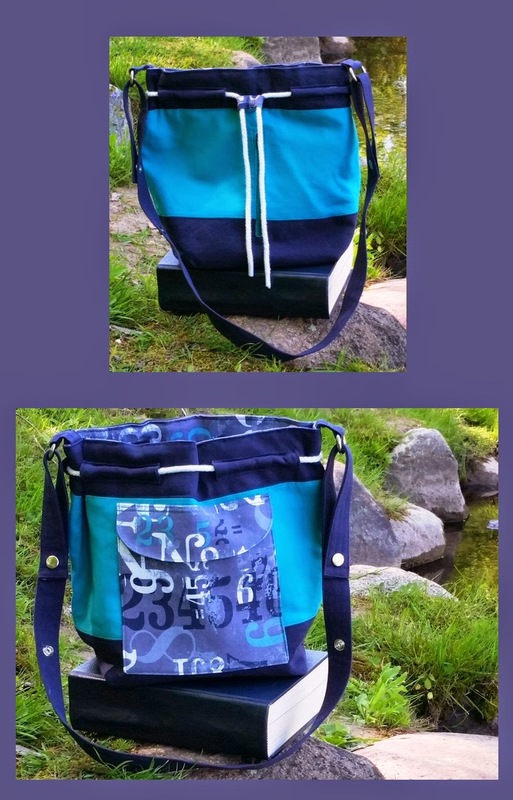 The first "set" of bags — in some wonderful fabric that was gifted to me by my reader Jake — are reversed versions of each other, done with a grommet closure. Apart from the reversible feature and the two different closures, you can see that there is an option to add a contrast fabric at the base, two types of pockets and an interesting multi-fabric take on the strap. 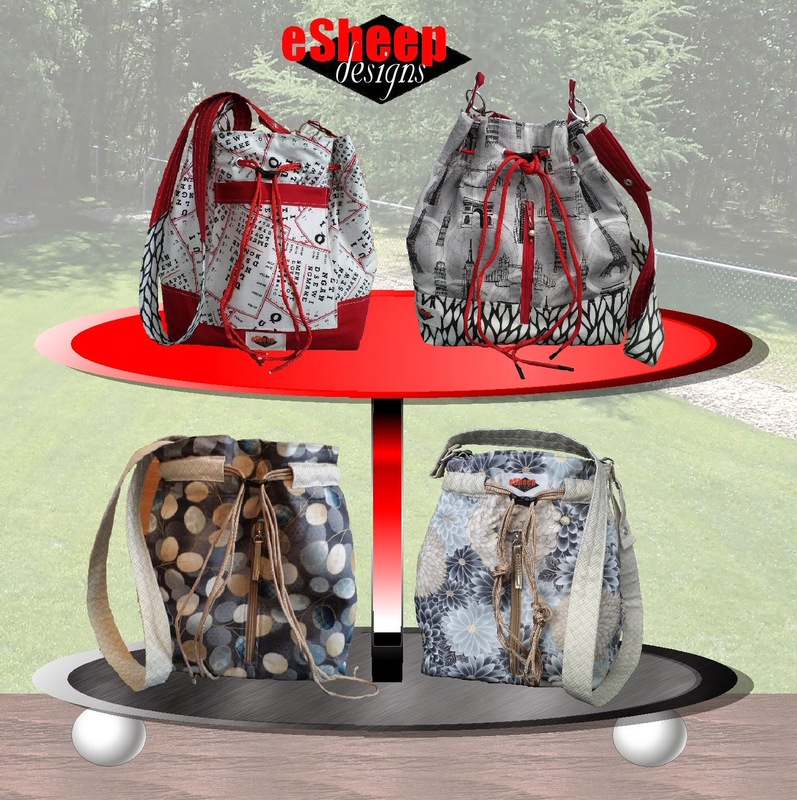 Let's just say that the number of variables and possible combinations almost allowed this pattern to run away from me, but this is definitely your opportunity to craft a bucket bag that is customized to your particular tastes. 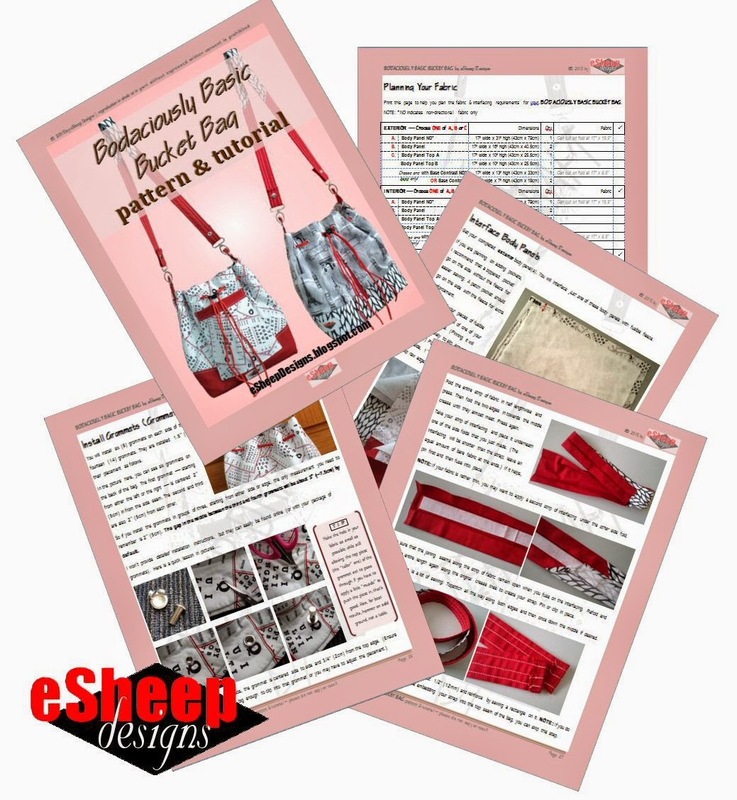 The PDF for this bag pattern tops out at 47 pages, with over 125 photos (!) to help you cruise through the project. Included is a fabric planning page for you to print out so that you can keep track of what fabric is being used for what element. (I found it extremely useful given the number of options.) 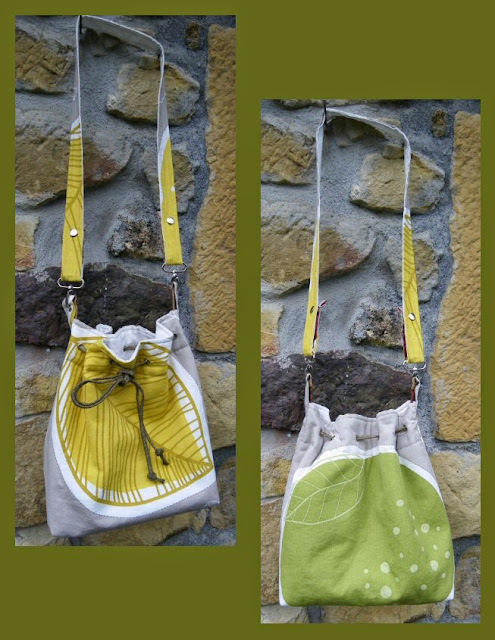 I've also included hints for further customization in case you get hooked on making bucket bags! Anyone who purchases the pattern between now and next Saturday at 01:00 MDT will be entered into a draw to win back the purchase price!AND THE WINNER IS... Craftsy Member NOMESIE! Nekane — my primary pattern proofer/tester — shares her tremendous results here... don't you just love her butterfly (or is it a bee?) embellishment? And the reverse side of her bag is here... I think she has illustrated a good lesson on how to use a fabric with a large print. 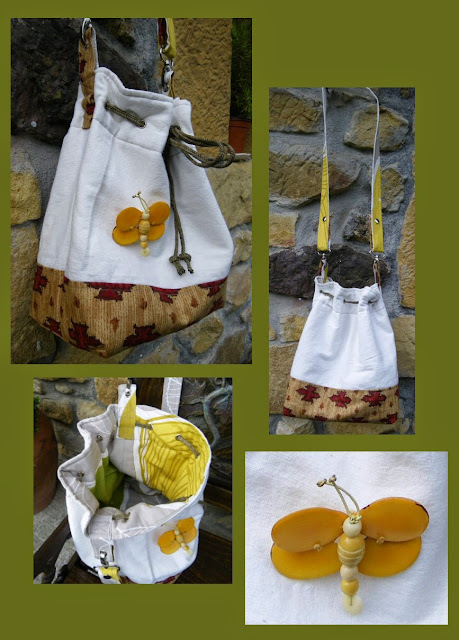 Sometimes we don't know what to do with such fabric, but here you can see how to achieve great results by featuring an actual print component on each half of the bag. Ingenious! Krista spoke with me ahead of time about adding a flap to her patch pocket. Nice addition, don't you think? I also noticed that she made herself a cord lock out of her fabric, which you can see in this next photo here of the reverse side of her bag. Many thanks to these two ladies for taking the time to test this pattern thoroughly. 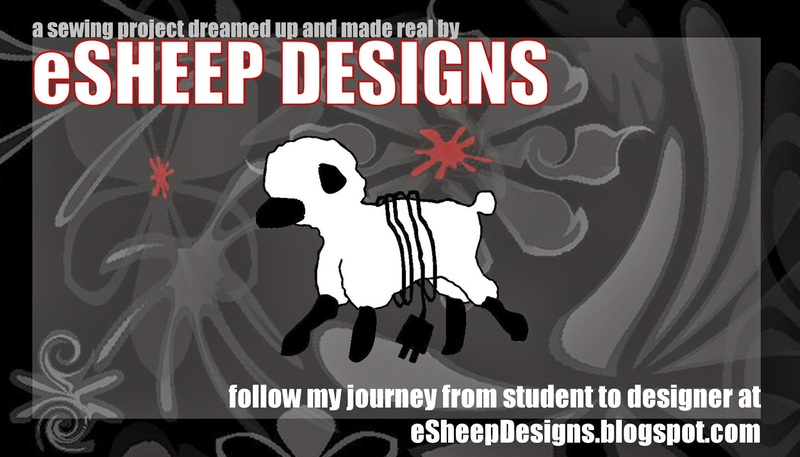 Oh, and on theme of "testing", I also want to thank Norma for providing feedback on the first draft of this pattern. The Bodaciously Basic Bucket Bag finishes to an approximate height of 11", with a 10" x 6" base, or 28cm high x 25.5cm x 15cm. Anyone! Truly, nothing is too difficult to do here. The whole idea of a bucket bag is so simple: it’s just an open-ended box in terms of construction. Boxed corners — if you’ve heard of them but have never done them — are simple to do as long as you can refer to a good picture or two. This project will also involve the installation of zippers, snap fasteners and grommets (or eyelets), although — as is my practice — there are options to finish off the bag without any of them if you wish. Oh, and if you don’t like curves, this bag is for you! All of the sewing is straight lines and the construction pieces are all rectangular in shape, so this is can be considered a beginner project. It will probably take you longer to decide what to do with this pattern than to sew it up, but let's call it a leisurely weekend project. The more familiar you are with the construction of bucket bags, the faster this will go for you. Pins, clips, ruler, fading marker, your sewing machine's zipper foot, iron, pressing cloth, rotary cutter & mat, etc. 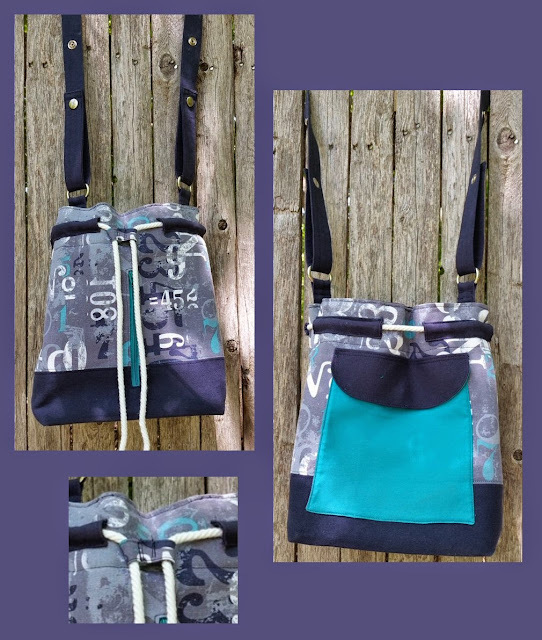 If you are "sew" inclined, feel free to make and sell as many Bodaciously Basic Bucket Bags as you care to; I only ask that you credit me and this blog by attaching the following card to the item. Thank you Rochelle. It's a great pattern and a nice bag!! And many thanks for your help too! Thank you for the endorsement and for your participation! Hope you get good use out of the beach bag.